Fostering is one of the BEST volunteer jobs on the planet! The rescue will cover food and vetting expenses while the animal is in your care (some exceptions apply). We provide every foster home with a crate, collar/leash/harness and ID tag and a supply of quality pet food. 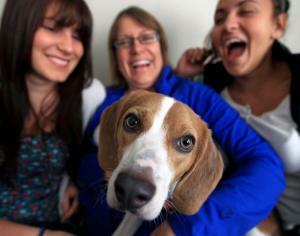 Foster homes have first option to adopt if the animal is a perfect match for the family.